Caf president Ahmad, speaking in Egypt on Friday, said the issue was discussed by African football's ruling body ahead of Friday's draw for the 2019 Africa Cup of Nations. "We had a reconvening of the Executive Committee," Ahmad told reporters. "We attributed it [Chan 2020], directly, by a tacit agreement, to Cameroon for 2020. "Therefore, this will allow us to be better prepared for the African Nations Cup," Ahmad added. 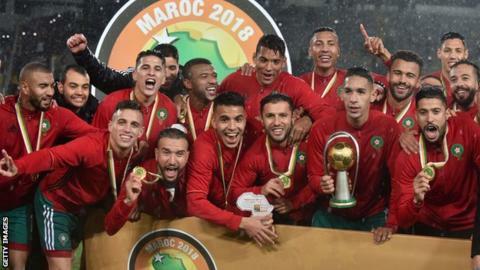 Cameroon was stripped of hosting rights for this year's Africa Cup of Nations and was awarded the 2021 edition. No official statement on the 2020 CHAN has yet been made by Caf or Cameroon's FA, Fecafoot.